INCREDIBLE OFFER! RRP: £94.55 (+VAT). 75% OFF THE RRP! 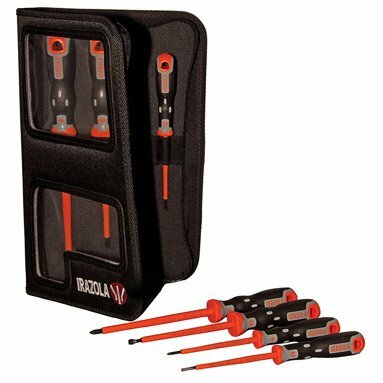 Irazola Tekno+ electricians insulated screwdriver set, containing 7 top quality 1000v VDE screwdrivers. Irazola is part of the Bahco group. This electrical screwdriver set is branded as Irazola. Makes an ideal gift, presented in a black canvas zipped case. The screwdrivers have ergonomic, dual component handles to maximise control and comfort.